LAWRENCE G. McMILLAN is President of McMillan Analysis Corporation. 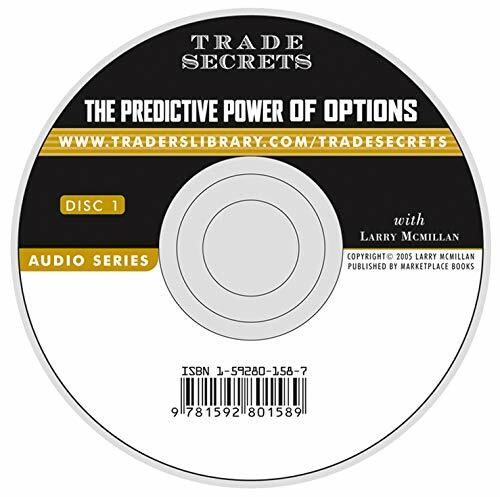 As the foremost authority on options, Mr. McMillan is the publisher of The Option Strategist, a leading advisory newsletter for the options community, and creator of the innovative fax service "Daily Volume Alerts," which updates investors on unusual increases in equity option volume. He is also the bestselling author of two books: Options as a Strategic Investment and McMillan on Options (Wiley). Mr. McMillan has spoken on options strategies at hundreds of seminars and colloquiums in the United States, Canada, and Europe. In addition to touring, speaking, and writing, he uses his knowledge to trade his own accounts actively in the options markets. Formerly a senior vice president in charge of the Equity Arbitrage Department at Thomson McKinnon Securities, Inc., Mr. McMillan is also a "Trader's Hall of Fame" award winner. We sell brand new books from the publisher.